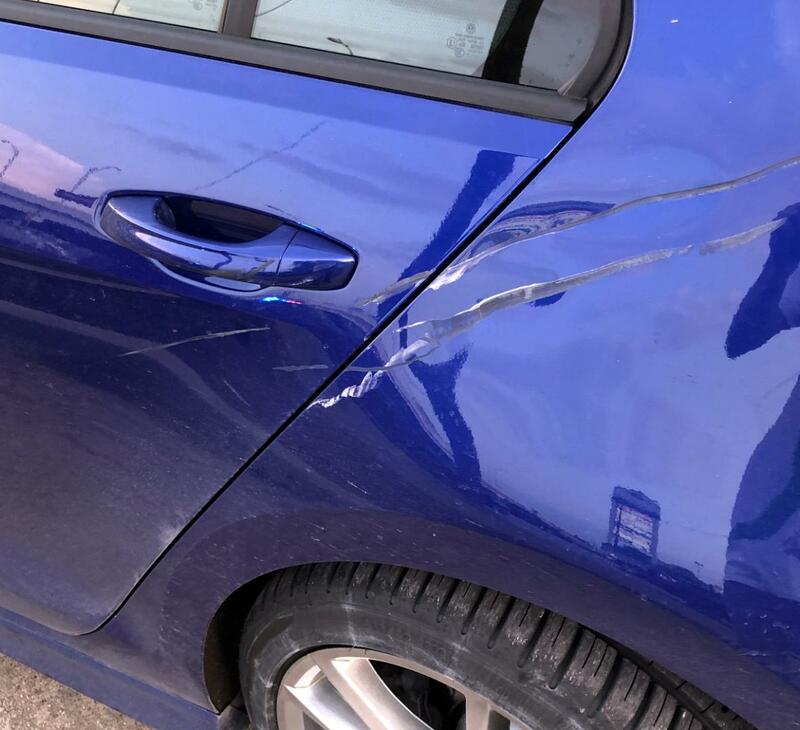 What hidden damage should I be looking out for? It's a 17 R with DCC and all the driver assistance stuff. Last edited by dcsh; 04-09-2019 at 12:21 AM. Sent from my mobile office. That rear tire.... no idea if it is totaled but there have to be some serious bends somewhere under there. my mini had it's rear wheel tweaked in a similar manner. 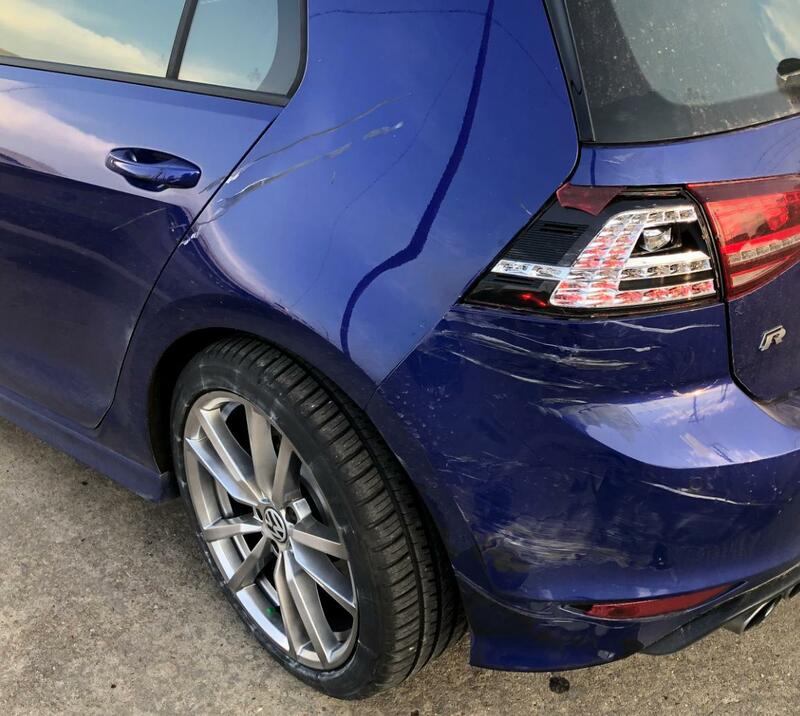 while not totaled, it never handled the same. with a bent driven rear axle, that R is toast. thats a hell of a lot of damage to the suspension for just being a motorcycle. got pics of the bike? I don't know the Golf platform's structure, but this raises the question: in a Golf, what bends first, the subframe or the body in white? Or both? If it's the subframe, that's easy to replace. If it's the white body, that's hard to replace and you will never want the car back for fear that will forever suffer from its molestation. Expensive, but not totaled. I wonder how much it is to repair any suspension/DCC damages. It looks like the hatch just barely got hit too, no? I think you're looking at closer to $12k if that frame/suspension damage is repairable. 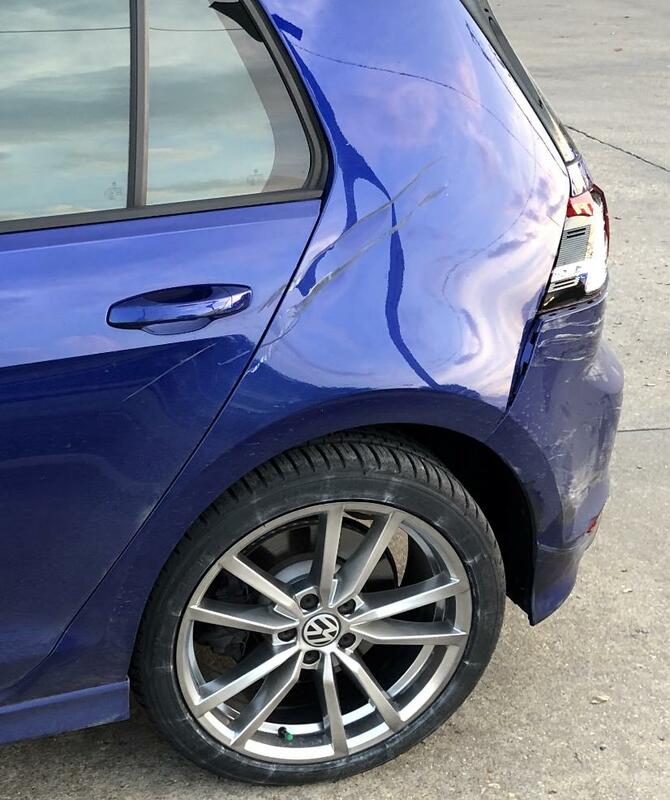 I had similar Mk7 Golf rear quarter damage without hatch or mangled suspension appraised at $6,500 before tax. To be fair it's kind of Toyota's fault for pandering to people who don't give a **** about cars. I actually saw this on LivePD over the weekend, can't remember if it was Friday or Saturday night. It was the first segment of the show, and they blocked off the intersection in anticipation of the biker approaching during the chase. 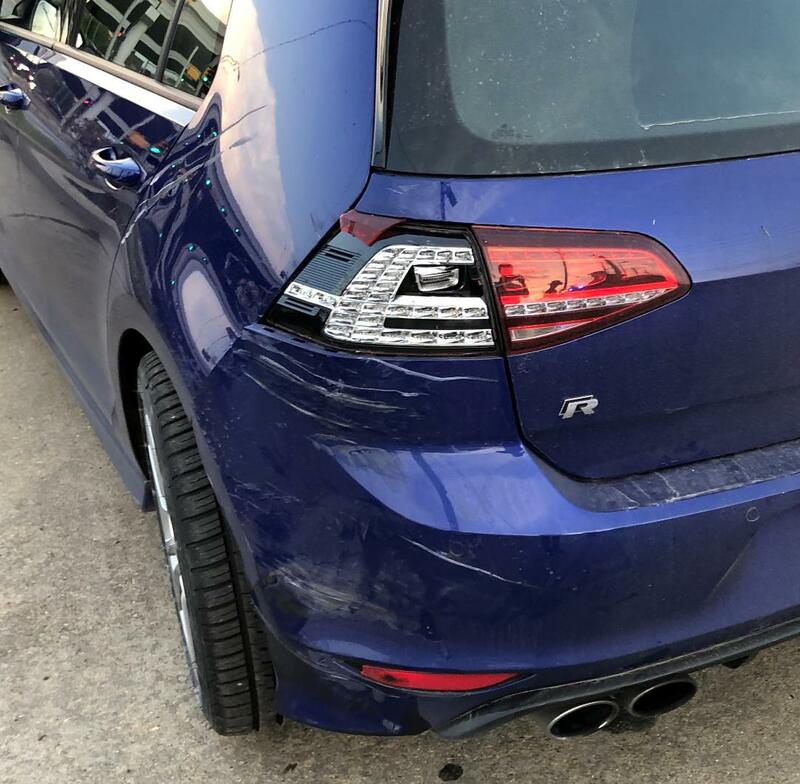 Quite a lot of traffic, and I noticed instantly that the lunatic had crashed in to a blue Golf R. My heart sank for the owner. I saw that you had pulled off the road into a parking lot to inspect the damage. I sure hope someone has a link. Incredible a motorcycle can do all that damage. I do understand the laws of physics though and understand a heavy enough bike at high speeds can do a lot of damage. $15K totaled. I bet the bent wheel is hiding lots of hidden damage. Sorry this happened to you, OP. I saw the episode as it happened too....and all I could think was....Golf R? This WILL make its way to TCL! That motorcyclist got lucky that all he suffered were minor injuries and a possible ankle fracture...Plus, how cool was it to see the very police that were chasing him were suddenly rendering first aid and actually comforting him? what the fk? I gotta find that episode. It's not available on their website. A&E hasn't posted the episode yet. If the unibody is bent at all it will. Oh snap OP, you made it on Live PD. Also, that dudes ankle is f'd. Yeah, the shop is going to look at it soon. It’s a 2 year old $40k car. They’ll replace the rear floor if they have to. 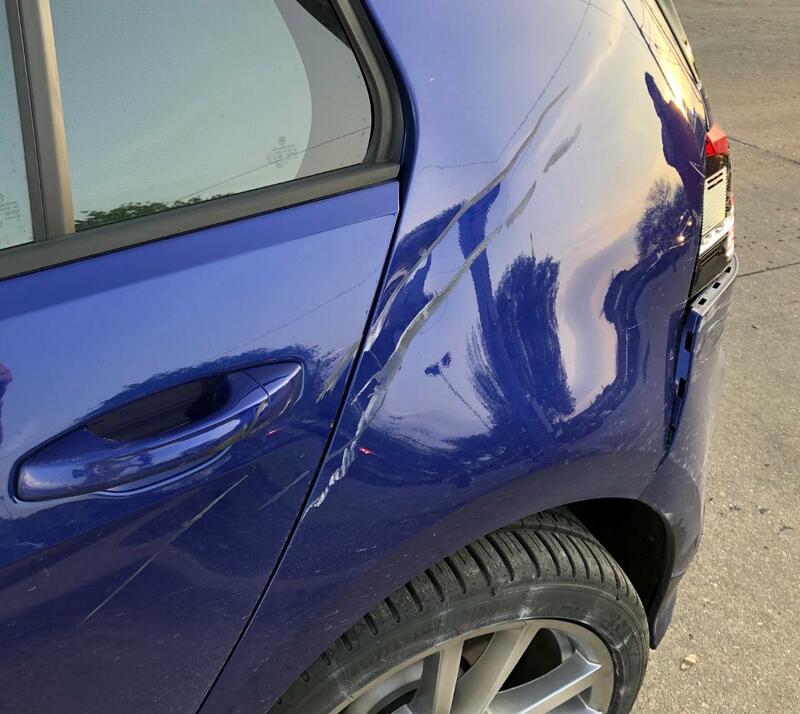 It won’t be totaled unless it can be shown that the car will not be able to be properly repaired. I would say not totaled. Also love the fact that it takes 7 policemen to tackle an inanimate dude... was he even moving? Last edited by GTI_CH; 04-08-2019 at 11:20 PM.